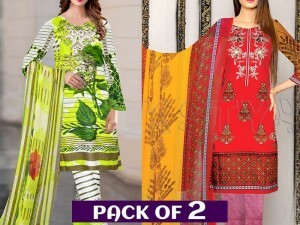 Sana Safinaz Embroidered Essential Ready to Wear Collection is the brand's casual wear line, which features stylish kurtis in traditional cuts. 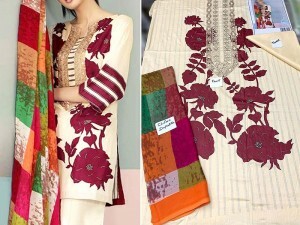 They use a variety of different materials to create kurtis like linen, viscose, khaddar, cotton, lawn and much more, which are then embellished with intricate embroideries to create the masterpieces. 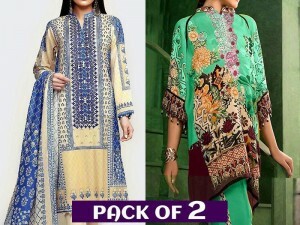 It is available in an array of different sizes, ranging from extra small sizes to extra large ones, with the price tags ranging between Rs 1000 to Rs 4200. This light beige colored shirt has a halter neckline with a thigh-length. It has a thick horizontal line print in the center of the shirt in black color, with embroidery in pink and yellow thread work on the sides of the shirt, plus on the sleeves. The kurti has a plain back, with a straight silhouette and elasticated cuffs to give the sleeves a slightly puffy look. This sky blue colored shirt has a halter neck with loose sleeves to give a retro look. It has a knee-length shirt, made of cotton material and has detailed embroidery in floral patterns all over the sleeves and 2/3rd of the shirt. The kurti retails for Rs 3760 and has an organza patch design for the sleeves. This pretty yellow colored shirt has a halter neckline and comes in the lawn material, with boho sleeves. It has a mid-thigh length, with a ruffled shirt border that has a white embroidered organza patch for adornment. The shirt has a straight cut and comes with a price tag of Rs 2590. This white colored shirt is made of cotton fabric and has a round neckline with a plain back. It has elaborate embroidery on the side of the shirt in floral and vine pattern, with beautifully embroidered vases as well. The kurti retails for a price of just Rs 2890 and has a thigh-length shirt.